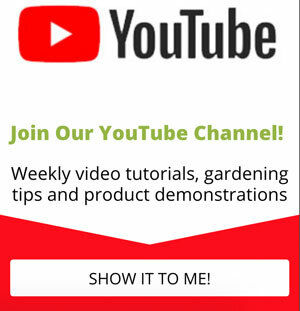 Welcome to the Gardening Products Review!! Jack and I started this website to help gardeners and homeowners chose the best gardening products for their needs. In searching the web, we often weren’t able to find the kind of objective reviews we wanted. There are some excellent sites out there for gardening information or for contractors, but no high-quality, centralized location to find product reviews for the typical lawn and garden tools. So here it is – everything you wanted to know about gardening products, all in one convenient website. All of our reviewers write reviews based on their personal experience with the product. If we haven’t used it, we don’t publish a review. Most of our reviewers have extensive experience in horticulture, arboriculture, landscape maintenance, or garden design but, regardless of their professional experience, all of them are typical homeowners looking for ways to create a beautiful, enjoyable outdoor space. We try to be as objective as possible, presenting our findings from the standpoint of a typical homeowner (rather than based on our personal preferences). We’re not here to test the strength, composition, geometry, power output, etc. of the tools we review. Instead, we look at tools based on how people will use them in “real life”. Is it easy to use or do you need an encyclopedia worth of instructions just to turn it on? Will it hold up to normal use? How about when people use it for things it’s not really designed for but will probably be used for anyway? Is it comfortable? What about value? And does it do what it claims to do? When a manufacturer sends us a product to trial (usually for free), we make it clear that we will write only an honest, unbiased review. If that’s not ok with them, we send it back. We don’t get paid to write reviews and a company can’t pay to get a good review. We disclose the source of all products in each review. We’re fortunate to see many new tools before they’re introduced to the market, and even advise companies during product development. And, in 2017 and 2018 we were judges for new product introductions in the Lawn, Garden & Outdoor Living category at the National Hardware Show in Las Vegas. But none of that influences our reviews! Interested in advertising or sponsorship opportunities? In the end, this website is for you – I hope it helps you choose the best lawn and garden tools for your needs.